Our hotel, the beautiful Le Centre Sheraton Montréal Hotel, is centrally located in downtown Montréal just steps from major shopping, hundreds of restaurants, cafés, bars and bistros, two universities and several museums, and an easy walk (or bus or métro ride) to most cultural and recreational attractions in the city. 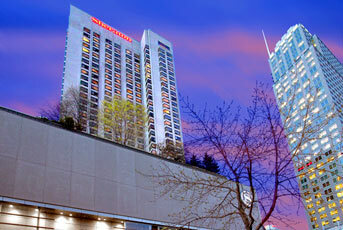 The hotel’s web site for the JASNA 2014 AGM is now taking bookings at the special JASNA AGM rate of $194.00 plus taxes. (Warning: there are a lot of taxes.) You may reserve rooms at this rate for October 8, 2014 to October 14, 2014. Bookings must be made before September 16, 2014.